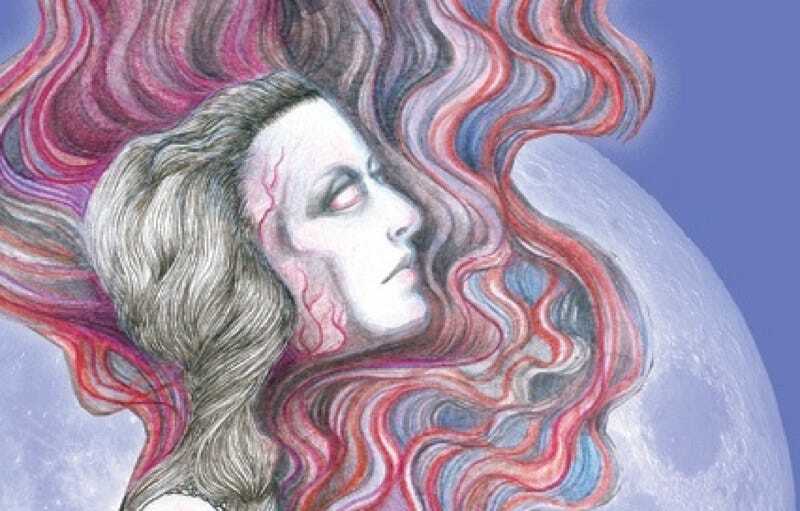 Earlier this year, we told you about The Occult Activity Book, S. Elizabeth and Becky Munich’s charmingly dark spin on adult coloring books. That volume sold out, so now the authors are back just in time for Halloween with a brand-new second issue. According to its back cover, the 52-page book “aims to disturb and amuse in equal amounts and is a fun way to explore your favorite esoteric themes in the relative safety of your own home with little to no consequence. *Please note: we still cannot be held accountable for consequences.” Contributors include: Alex Kievsky, Carisa Swenson, Dana Glover, Dan Bythewood, EC Steiner, Heather Drain, Jack W. Shear, Tenebrous Kate, Laurel Barickman, and Sonya Vatomsky. The truly fiendish can also snap up a deluxe version of volume two, which includes an art print on gray-toned paper; two pin-back buttons, a sheet of temporary tattoos, stickers, and a bookmark. You can purchase The Occult Activity Book right here (note that the internationally shipping book is listed as a different product from the U.S. version). but you should act fast, because supplies are limited. Meanwhile, here are some sample pages and sneak peeks to enjoy after you’ve cast a spell for speedy mail delivery. This is the bookmark that comes with the deluxe version.